Returning on 23rd December, we drove straight down to Kayena in order to spend Christmas with friends. Our last weeks on Tasmania have been spent being lazy. The weather got into the 30s and it’s been too hot to do much of anything except eat and drink. “We can handle it – We spend most of our time in Asia“. Well, we didn’t get to see it all! 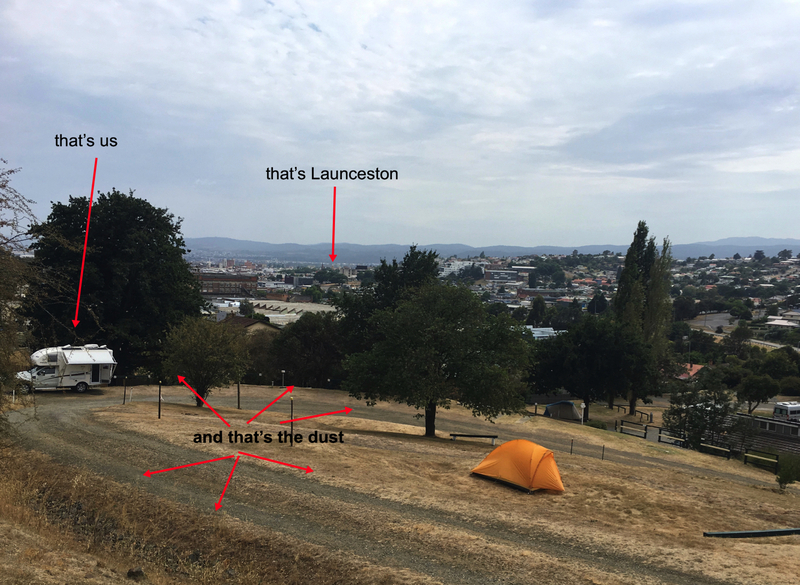 We decided to spend our last week in Launceston and found a place to camp on top of a dusty hill over-looking the second largest city in Tasmania after Hobart. 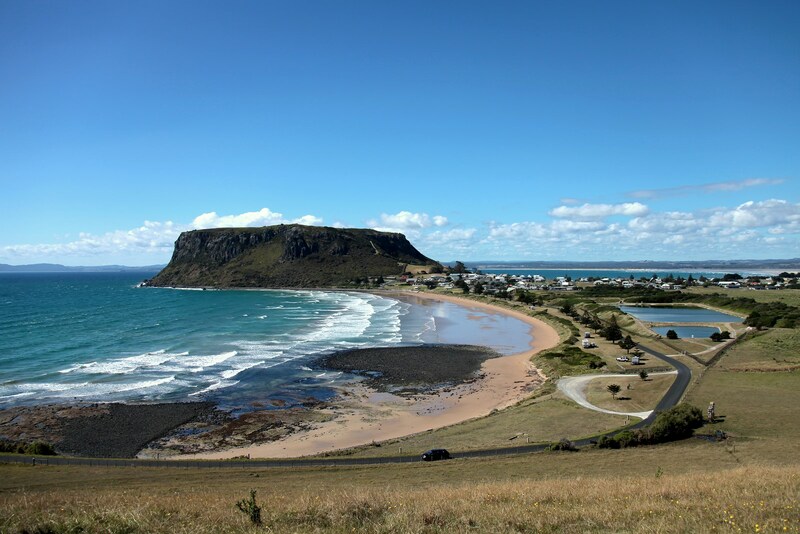 We slowly worked our way through some of the wonderful restaurants (Indian, Chinese, Italian), drank some great local wines and just generally enjoyed our final days on Tasmania. Our last night was spent back in Kayena where it all started: With great friends who forced us to stuff ourselves on oysters and prawns and kept the wine flowing. 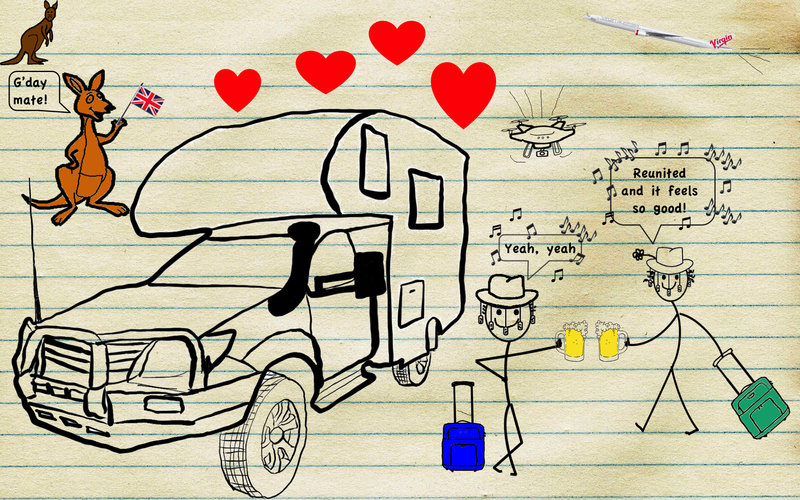 Our stay was spoilt by only on thing – we had to say “goodbye” – Very sad, especially not knowing when we’ll have the chance to get together again. Not 6 oysters, not 12, not even 18 – 2 dozen oysters each! Now we’re on the “Spirit of Tasmania” for our return journey to Melbourne. A couple of glasses of wine in the bar and we’ll be ready to retire to our lovely cabin for a good night’s sleep before waking up tomorrow morning to start the final month of our Australia journey. 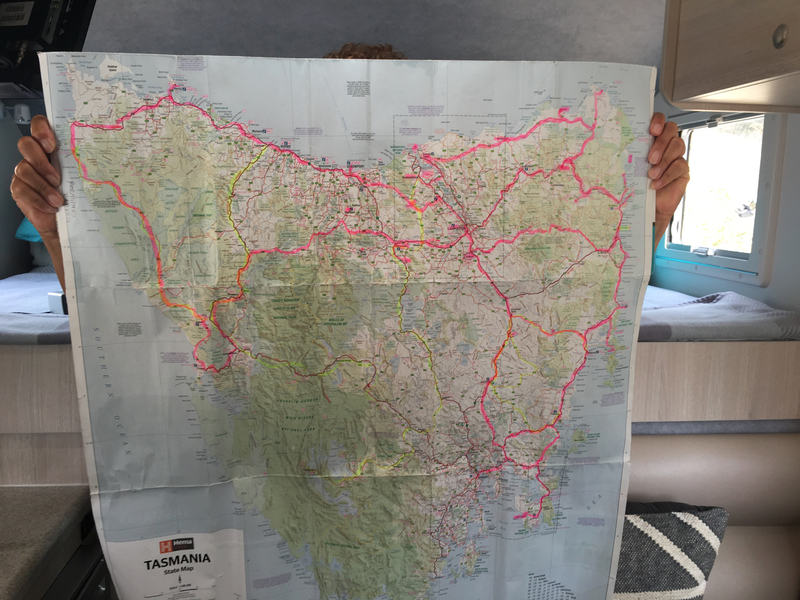 We’ve loved Tasmania, that’s why we postponed our ferry back twice and ended up staying for 10 weeks rather than the 4 we’d initially planned. We’re going to miss the empty roads, the deserted beaches, the beautiful scenery, the oysters and scallops, the wines and a whole lot more. 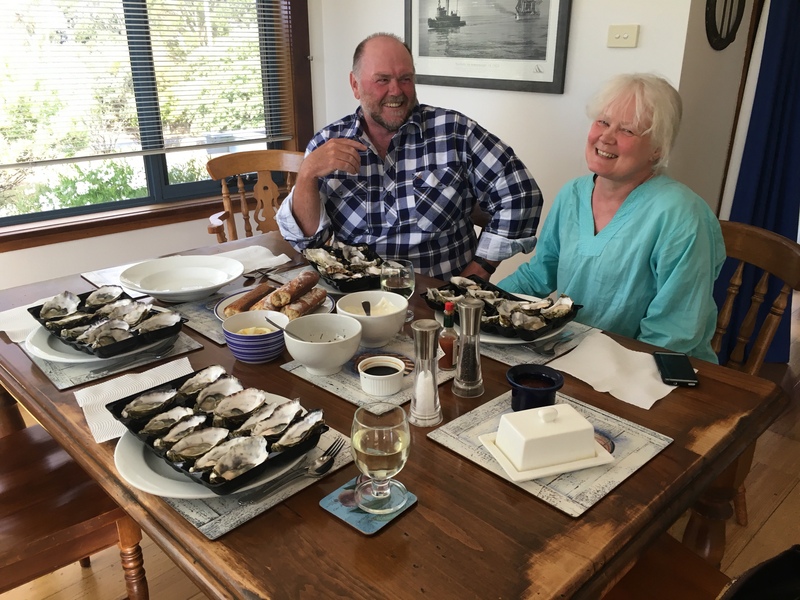 This entry was posted in BLOG, Tasmania and tagged Camping, Corinna, Edge of the World, Launceston, Port Stanley, Retired, Tasmania, The Nut, Touring Australia, travel on 31/01/2018 by Adrienne & Dave. Sounds like we should put this on our list. Thanks for the great information.